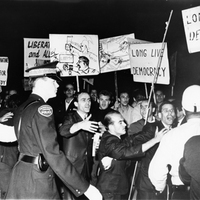 Image of angry protestors at demonstration with police officers. Verso reads: "things go pretty touchy when the Greek Guests started leaving the Granite club hurling Greek curses at the picketers. No arrests were made however." 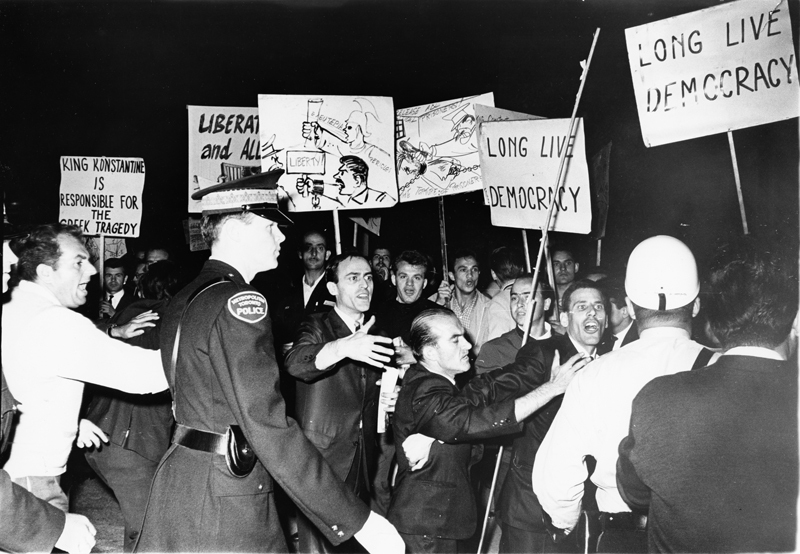 McFadden, “[no title],” York University Libraries | Clara Thomas Archives & Special Collections online exhibits, accessed April 21, 2019, http://archives.library.yorku.ca/items/show/3858.